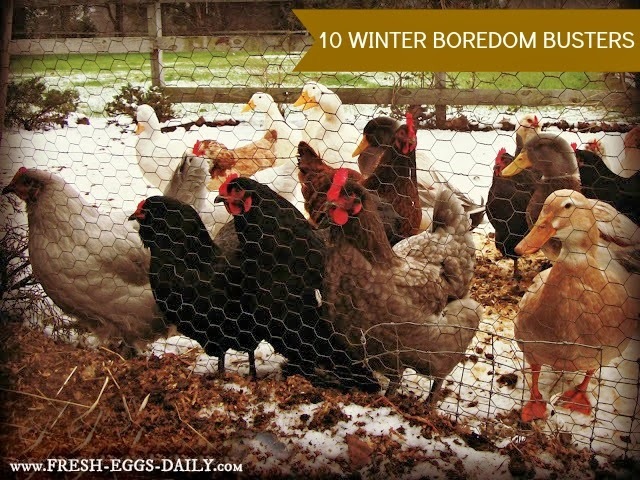 Bored chickens are not happy chickens. 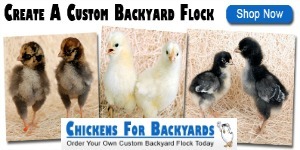 Bored chickens tend to start pecking at each other and themselves, resulting in feather loss or worse. Once a flock sees blood, it can whip the chickens into a frenzy and they will sometimes literally kill flock mates.... purely out of boredom and pecking order clashes. Boredom can also lead to egg eating. Read more HERE about that nasty habit. I've never read anything to prove this next one, but I also think that boredom can result in more broodies being broody longer. I mean, if there's nothing going on outside and no outdoor 'action' they feel left out of, why NOT just sit in a nesting box all day long? Don't let this happen to your girls. 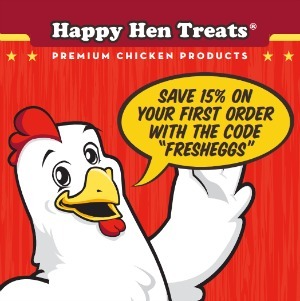 It is the chicken equivalent of human cabin fever. 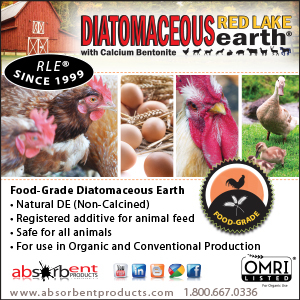 But it's not 'normal' behavior and is easily prevented with proper flock management. Boredom is more prevalent in the winter when there aren't weeds and grass to munch on, bugs to eat, butterflies to chase or dirt to bathe in and sun themselves. 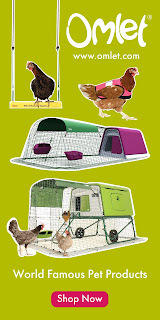 Boredom pecking is more likely to happen if your coop and run are too small and the chickens don't have adequate space, so don't be stingy, let those girls have as large a run as possible, and try not to keep them confined to their coop except on the most frigid, blizzard-y days. 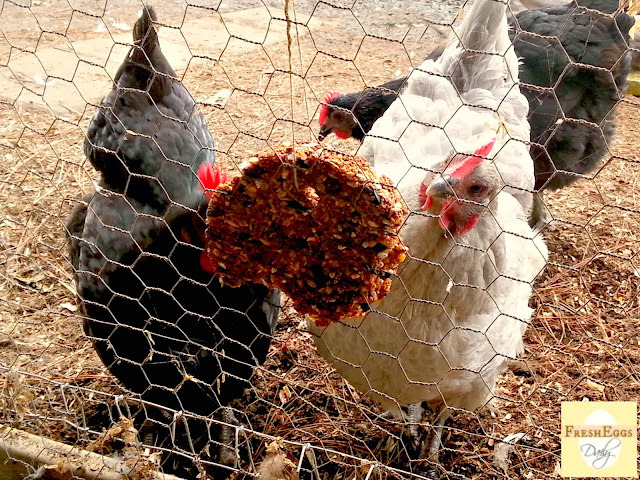 Of course treats help keep chickens occupied (read HERE for some creative treat ideas), but too many treats aren't good for them, so here are some non-food ideas for keeping your chickens busy during the long, cold winter months. 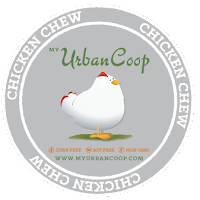 Perching actually is an 'official' chicken activity, listed in The Handbook of Official Chicken Activities (kidding, but you get the idea!). 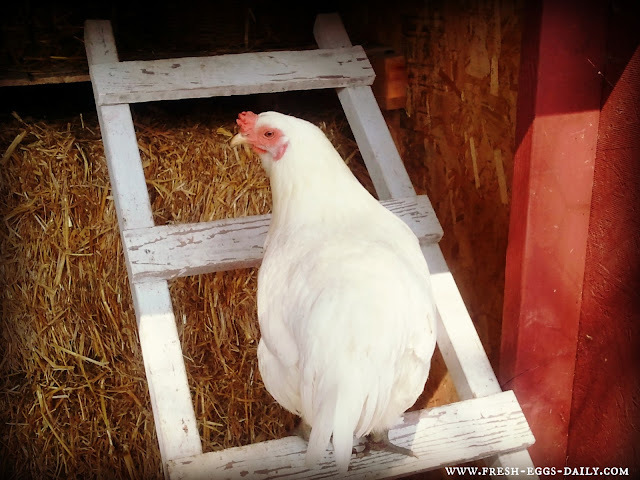 Chickens LOVE to hop up on things and get a 'bird's eye' view. Especially when it's muddy or snowy, but really any time, a chicken will generally seek high ground if possible. 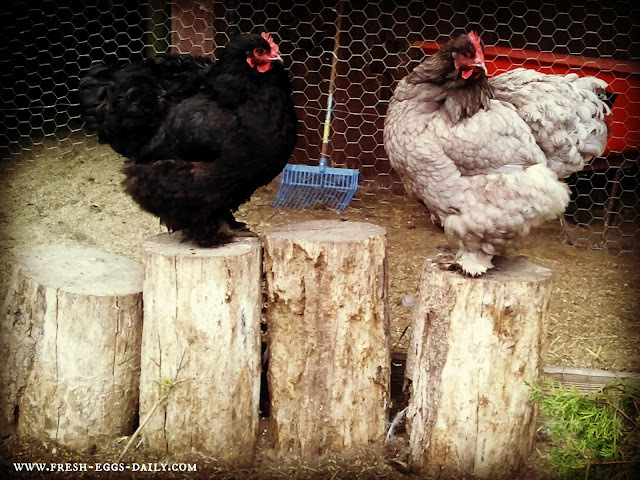 Outdoor roosts can keep them occupied, if not for hours, for at least a little while! 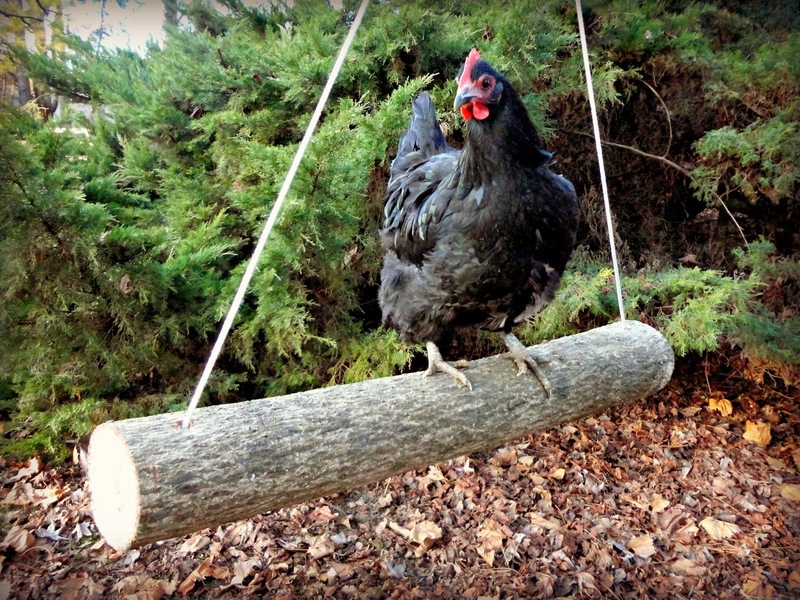 You can use boards, branches, ladders, any variety of things to create a multi-leveled chicken jungle gym of sorts. Or you can get really ambitious and make your girls a swing out of a log. Next time you cut a tree down or lose one in a storm, cut it into a few stumps of different lengths. Lined up along the run fencing, this is a favorite area for our chickens to stand and watch the world by by. An added bonus, if you move the stumps periodically or turn them onto their other end, the chickens will have great fun finding the bugs the collect. Try putting a pile of leaves, pine needles or even just dirt (we call it worm dirt around here!) or a bale of straw or hay in the run and see how long it takes for it to be leveled. 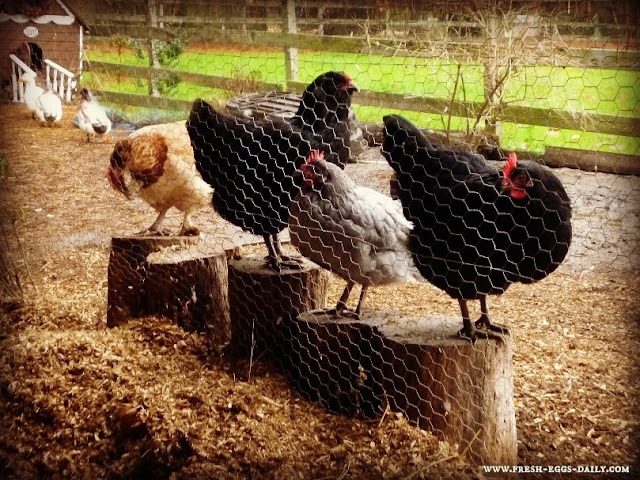 Chickens HATE piles! They will scratch and kick whatever you give them until the pile is no more. Great fun for the afternoon! 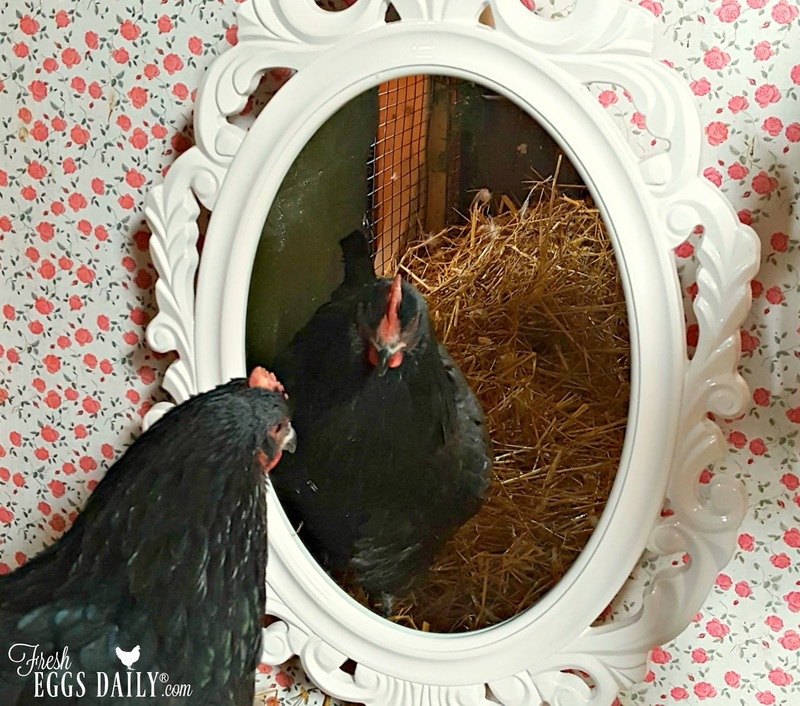 Have you ever tried putting a mirror in your coop or run (here's where I got mine)? 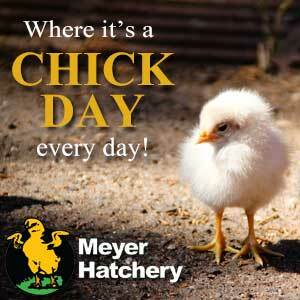 Chickens, being the preeners that they are, have a great time looking at themselves in the mirror. It's well worth a trip to Goodwill to pick up a cheap mirror. Just be sure it's well secured so it can't be knocked over as the girls shove each other aside to check themselves out. Don't have a mirror or any stumps? No worries. Just find SOMETHING new to put in the run. A rake, a wooden box, anything. The chickens will naturally come over to investigate. 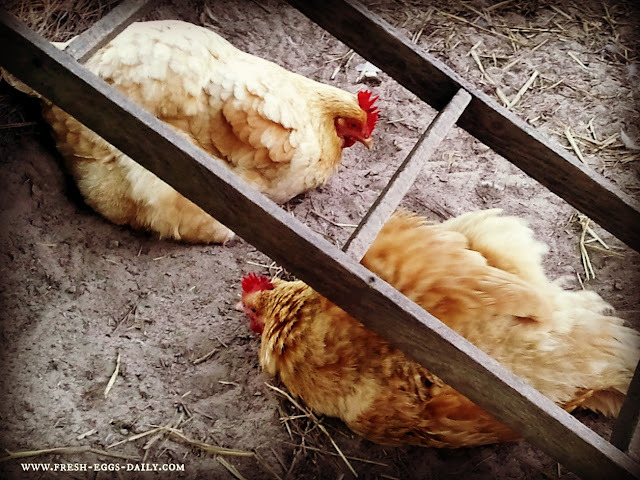 Dust bathing is not only a great way for the chickens to spend an afternoon, but also a very important way that they keep parasites at bay. 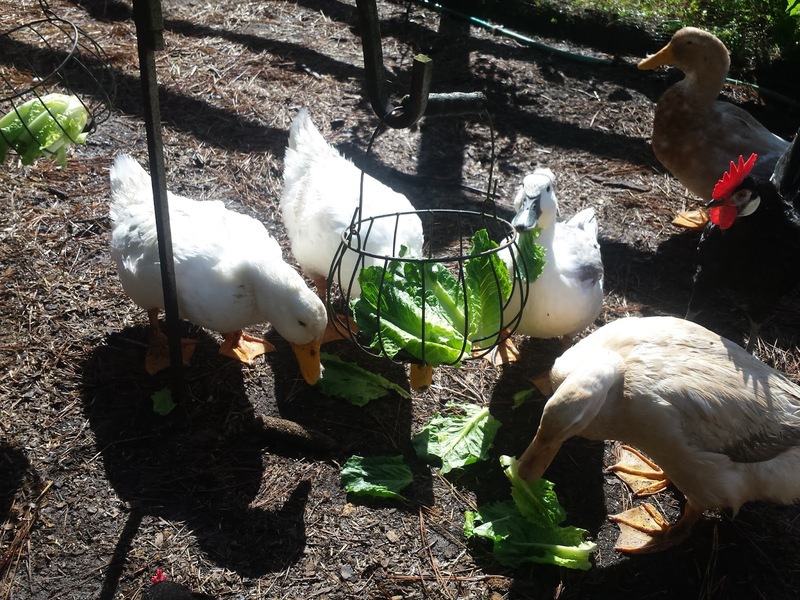 If the chickens' regular bath area is covered in snow or mud, try setting up a bath in a sheltered area for them, even in a large tub or kiddie pool that you can put out for them on nice days. 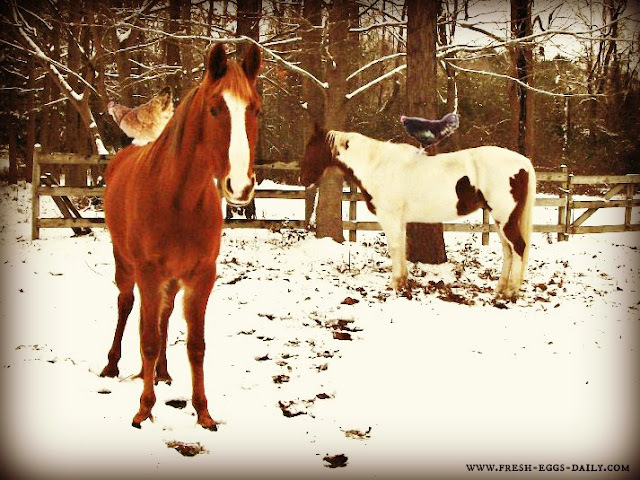 Even when there's snow on the ground and it's freezing cold out, wrap yourself up in your long johns, coat and mittens and head outside to supervise some free range time. 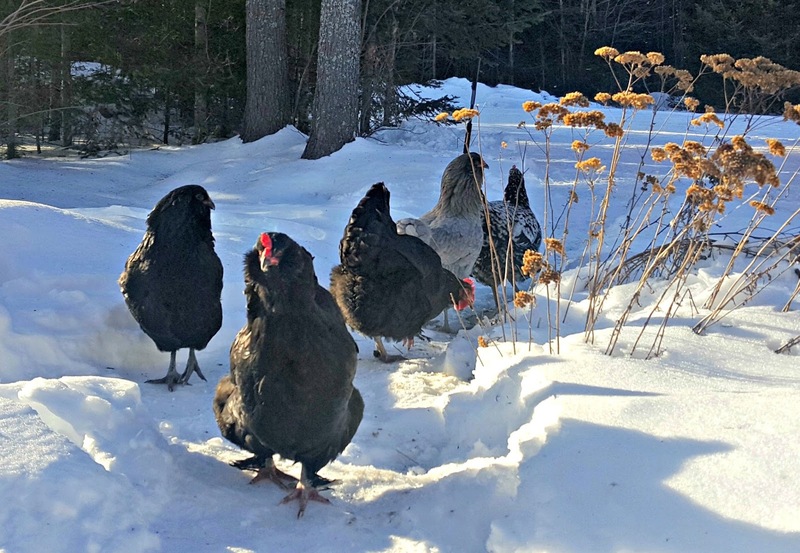 The chickens will appreciate being able to stretch their legs, as long as there are some bare patches on the ground where they don't have to walk in the dreaded white stuff! 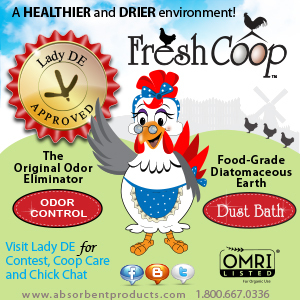 Fresh air is good for you both! Just be super vigilant because predators are hungry and food sources are scarce this time of year. Rethink your run area. Maybe you DON'T need that much lawn, maybe you COULD extend the fencing a bit more off to one side. 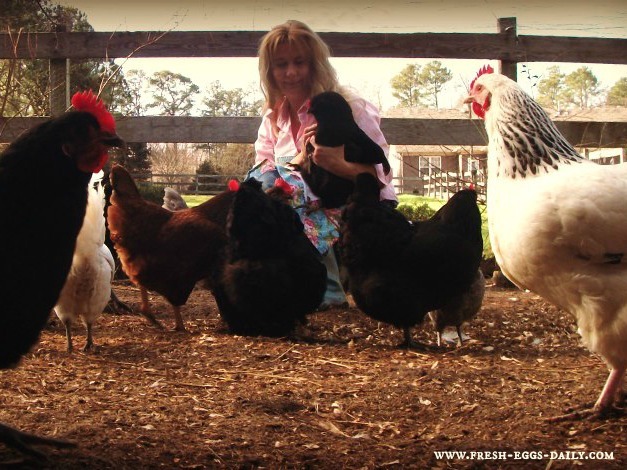 Give your chickens the largest area to roam that you possibly can so they have enough space to get away for some 'me' time once in awhile. 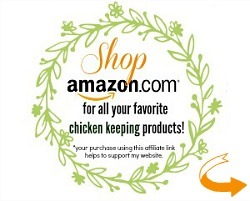 Spending time with your chickens is so beneficial in so many ways for you both. Not only do I find it therapeutic, but it gives me time to give them all a good health checkup. The more handing of them that you do, the easier it will be to catch and hold one when you NEED to due to illness or injury. 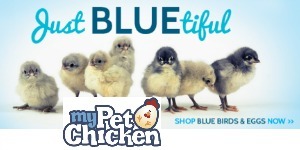 Also time spent with your chickens helps you understand the flock dynamic a bit better, identify any bullies (although with proper management bullies should never be a problem) and is just downright relaxing! 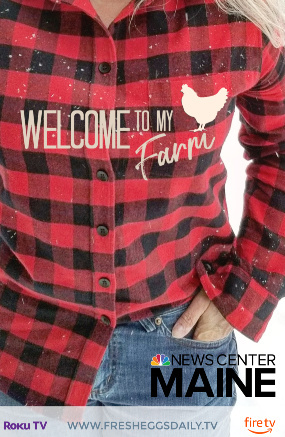 It's easy in the summer to spend time outdoors, but make it a point to bundle up and head to the coop for awhile each day all through the winter as well. When all else fails, we resort to pony rides! The chickens and horses both enjoy getting out and getting a bit of exercise. Okay, just kidding on the pony rides ! But kudos to Kate from Farmhouse38 and her photoshop magic for making this photo totally believable, right? Homemade or commercial seed blocks or suet cakes cakes can help relieve winter boredom and also provide some extra nutrition and energy on cold days. 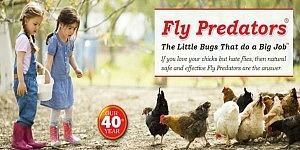 Hang treats in baskets for your chickens. Winter crops such as kale, collards, cabbage and other leafy greens are often on sale through the winter and make a nutritious, fun treat. 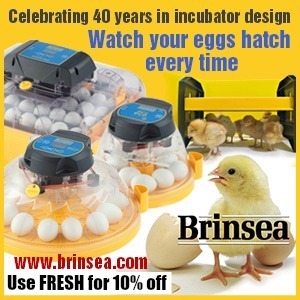 We're counting down the days until spring...but at least we know that bored chickens aren't a problem here - where we work hard at keeping our chickens too busy to get bored ! 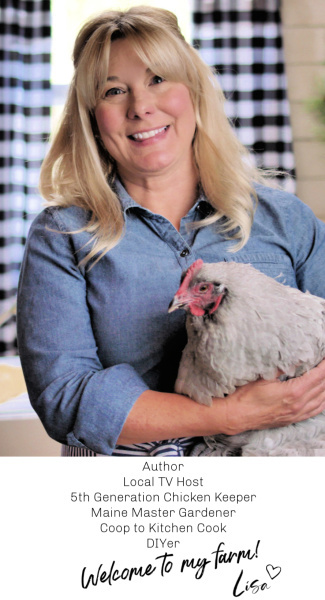 I totally agree with you, nothing is so much fun and relaxing as spending time with your flock. In the summertime I sit out with them while they free range and hunt for bugs, now that it's winter, and we got about 8 or more inches of snow yesterday, I just came in from making them a path to the feed bin and to a covered area we built for them where we keep corn and hay for them to eat and dig around in. Now I'm making oatmeal and cranberries for a warm treat. Poor things don't like the snow very much. No they don't. 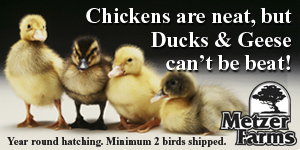 Now the ducks on the other hand! Oatmeal with cranberries sounds good! I got this idea from a person on BYC. I call it a "peck bottle". :) Take a mall plastic bottle like a soft drink bottle or gatorade bottle. (The water bottles are too soft.) You can either drill large holes (a bit hard) or use a screw driver, heated up over a (gas) burner to melt large holes in it. I make the holes big enough for sunflower seeds and feed pellets to get through. Fill it up about halfway with the sunflower/pellet mix or your scratch. The chickens then spend time pecking the bottle to get to the treats!!! It took them about a week to figure it out. I just got my chickens last week and because of the amount of snow here in eastern ontario they havent been let out of the coop. My run isnt fenced in yet and im nervous to let them out in fear i wont be able to catch them all. Will they stick around? The coop is raised so there is a bit of bare frozen ground underneath. Thanks! They won't run away and won't venture far if you let them out, BUT be aware of predators. 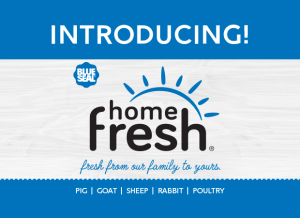 This time of year food is scarce and your flock will be an easy meal. Most mornings I'll go out and rake up the leaves in the run into a pile and scatter a few kitchen scraps with it. I try to do this before they get out of bed. If I did it when they where already up and about they notice where every scrap goes and hone in on it in the pile before I'm even done. I love the idea with the mirror and I'm going to get one today from goodwill. I never would have thought about putting a mirror in with the chickens! Brilliant! Love it! 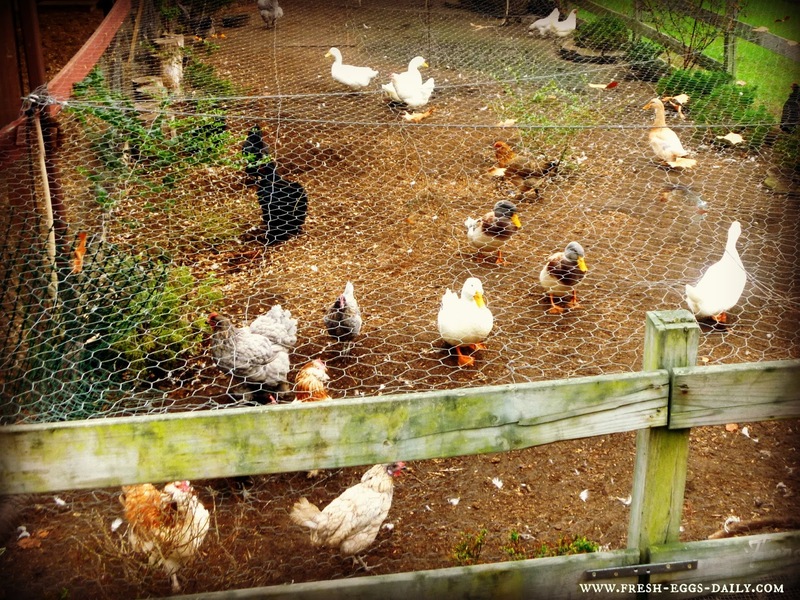 I had chickens for awhile but finally concluded that I just don't have enough space at this house--it's not fair to them. So, I am just going to have to move, that's all there is to it. Update: We got a mirror from Goodwill and hung it outside the run. 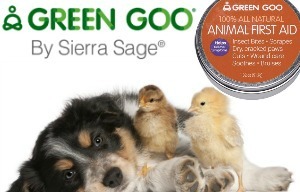 The girls loved it and all was fine till the rooster noticed himself and then when all ballistic trying to attack it. Had to take it down before he hurt himself. @ Dan... LOL! 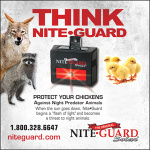 You have a good rooster there - ready to protect his flock (and his breeding rights). 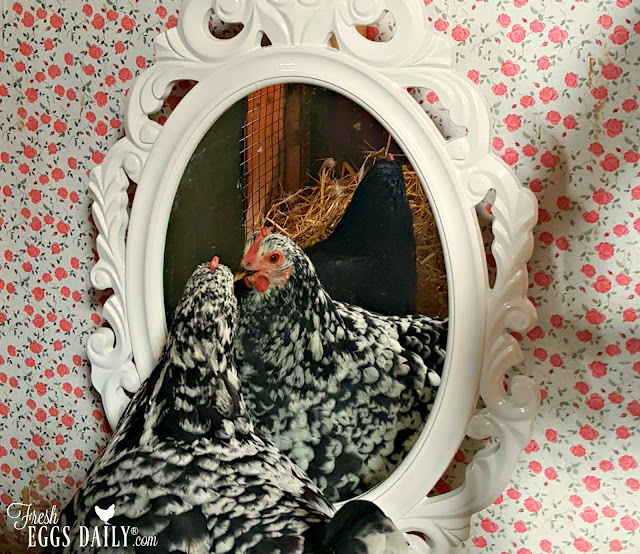 Yes - perhaps mirrors work best in hen-only flocks. @Lisa - great post and some super ideas! 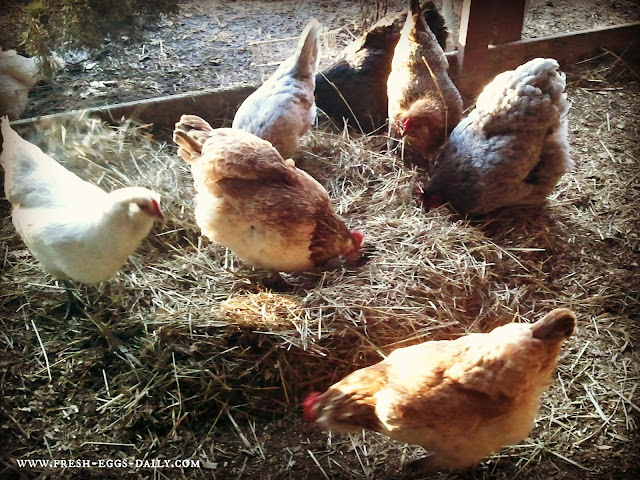 You're so right - Throwing hay, old leaves left over from last fall, grass clippings and such in the run is not only a blast for the chickens, but also great for conditioning the soil of the run. Win/Win! sometimes I hang a cabbage or a head of iceberg lettuce or an apple and they have a ball with it! In regards to the horseback riding.....I have a friend that's chickens love to ride around on her miniature donkey and her goats. It is so funny. Thanks for your tips. I am definitely going to try them!!! thanks for the advice. I piled hay up and in just a few minutes there wasn't a pile, of course they played king of the hill for the first few minutes. Then put a pile of dirt in and off they went to check it out to take their dirt bath. 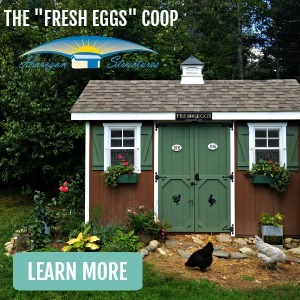 A chicken coop is better than an a aquarium! I was wondering how large your chicken run was? Our run is about 1600 square feet. Using some materials we had and fencing that was already up, I think it cost about $400 to build and it SO worth the peace of mind that the girls are safe and have plenty of room. Hi, I'm new here, just loving these discussions. 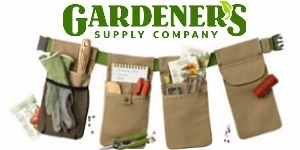 Gee, what do you do about dirt bathes in the winter with so much rain outside.? Inside the coop I have been told needs clean air for them to breath well at night. With a dirt bath inside it will make the air dusty..and their resptory issues would not take a liking to that...any ideas? We just started keeping hens this past spring. They are now our beloved pets. Last weekend we cleaned out the pen and run and put down all new hay. Well the hay had tons of sprouts. The girls went nuts. Great little treat for them and what a surprise.